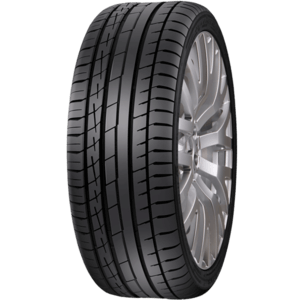 The Accelera lota ST-68 SUV tyre features an asymmetric tread design and a Silica compound for extremely low rolling resistance to save fuel. The combination of wide multi sipes and deep, straight grooves clears water efficiently to eliminate aquaplaning. Strong shoulder blocks with variable pitch improve cornering stability and decrease noise.